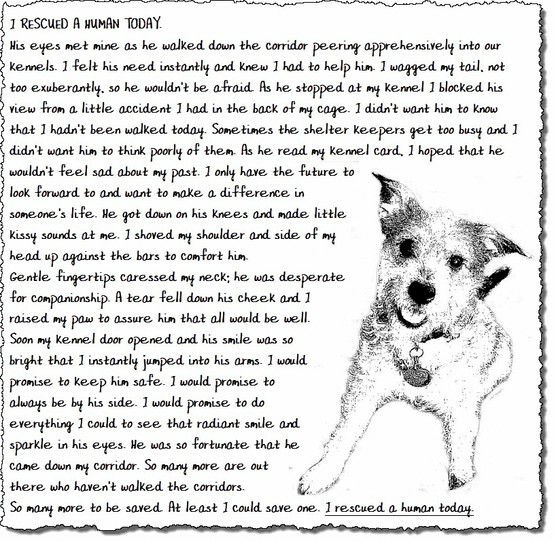 Published September 8, 2012 at 554 × 541 in I Rescued A Human….. In the beginning, we believe we are rescuing them…. In the end, we realize that they actually rescued us.